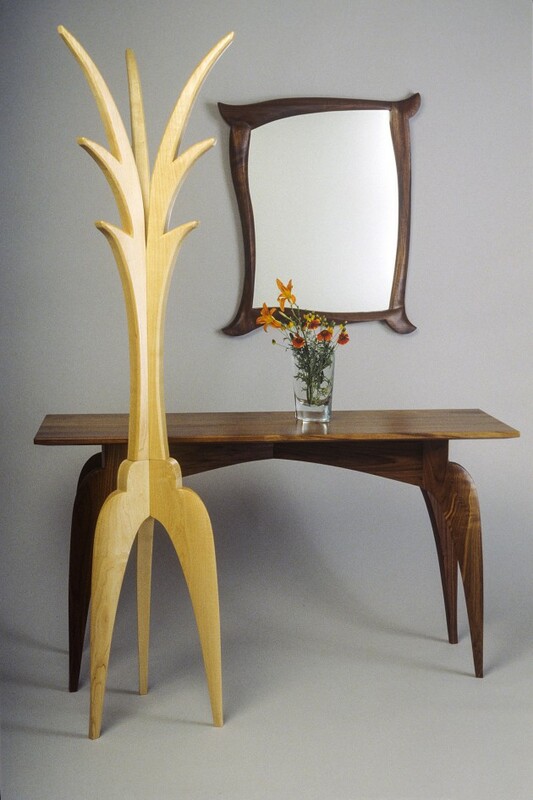 The Tango Mirror’s sculptural form pairs with the companion entry table and coat tree to welcome you with flowing curves and beautiful wood grains. 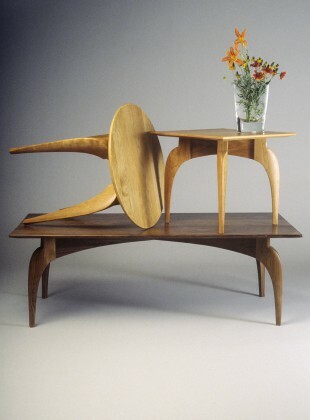 Each of these designs can be custom proportioned to suit your space and are available in an array of woods. 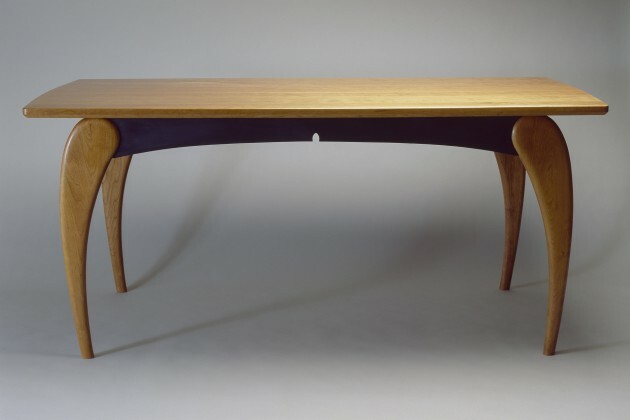 I have created wood coffee tables, end tables and side tables with a similar leg shape to the this hall table, which would also work well for a desk or dining table. 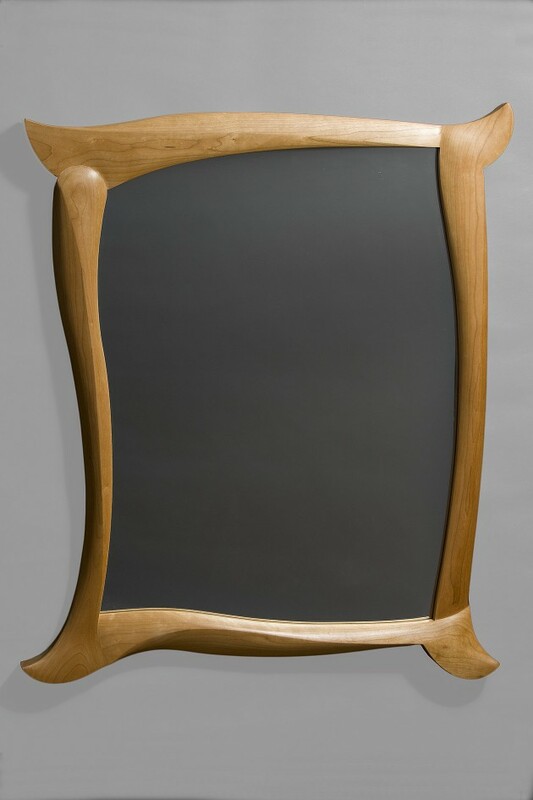 Cherry and walnut are the most frequent choices for the wood mirror, which I make in both portrait and mantle mirror proportions. Each Tango Mirror is made one at a time, so let me know what size suits you.